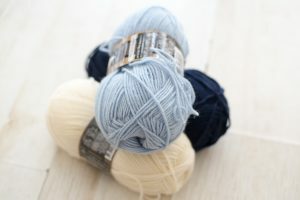 The navy/blue/off white skeins are Alize Lanagold, 49% wool, 51 Acrylic. 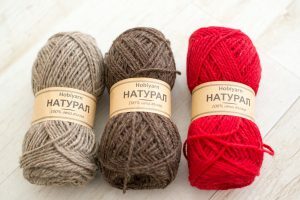 The beige/brown/red are a Bulgarian yarn – HobiYarn, 100% wool. Both yarns can be knitted on 6mm needles. 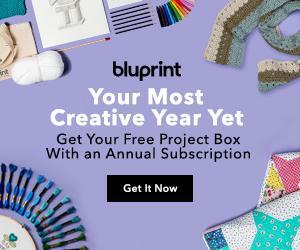 I am excited to make swatches, count stitches, do the math, and have my patterns published on Ravelry in few weeks!